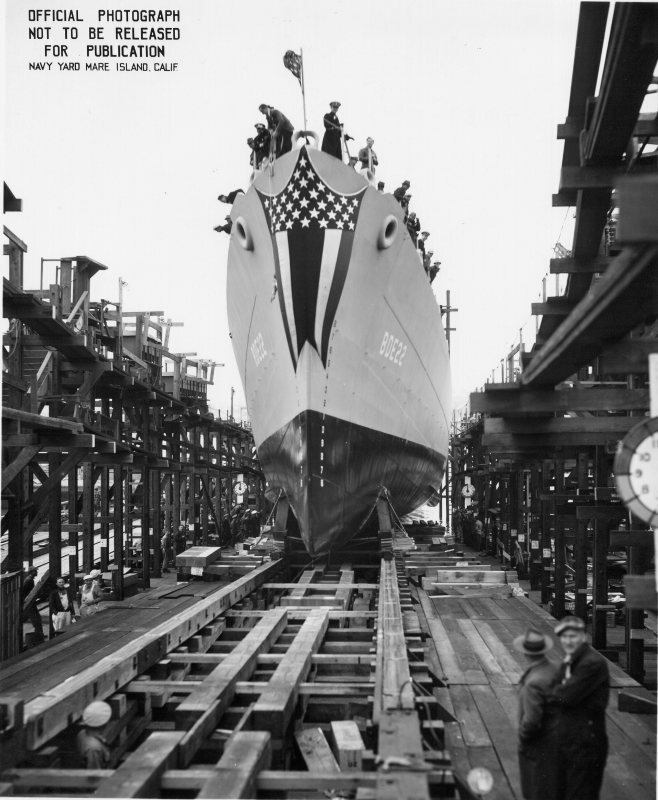 30 April 1942: Keel laid as BDE 22 by the Mare Island Navy Yard, Vallejo, Cal. 08 January 1947: Sold for scrapping to the Pacific Bridge Co., San Francisco, Cal. 7k William Wolfe Wileman was born on 04 May 1917 in Ventura County, California. 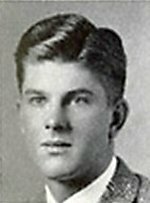 He graduated from the University of California at Berkeley in 1940 and enlisted in the Naval Reserve on 12 February 1941 as a seaman second class. After basic training at Oakland, Cal., he transferred to the Pensacola Naval Air Station for aviation training on 03 April and, the following day, received his appointment as an aviation cadet. He finished the basic course at Pensacola in August and moved to the Miami Naval Air Station on the 31st for advanced training. His flight instruction ended on 04 November; and, on the 5th, Wileman was commissioned an ensign in the Naval Reserve. The Navy Directory for 1942 suggests that Ens. Wileman was assigned to Fighting Squadron (VF) 6 on board Enterprise. While he may have served briefly with that unit and on board that ship, he was definitely a member of VF-2 on board Yorktown by the time of the Battle of the Coral Sea early in May 1942. During that action in the evening of 7 May, Ens. Wileman earned the Navy Cross for shooting down at least one, and perhaps two, Japanese fighters. 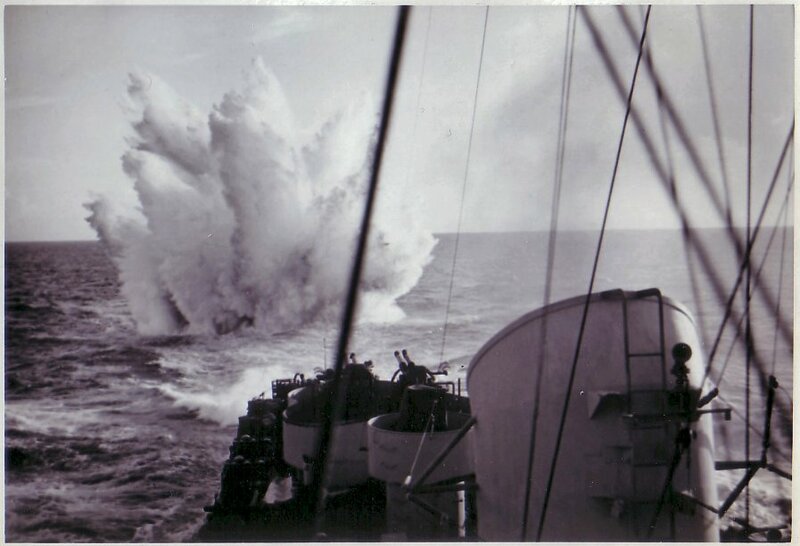 Later, he transferred to VF-5 and saw service at various locations in the southwestern Pacific. At the time of his death on 13 September 1942, Ens. Wileman was based ashore on Guadalcanal in the Solomon Islands with a portion of VF-5 assigned to the "Cactus Air Force" at Henderson Field. Further details of Ens. Wileman's death are unavailable, but he was presumed dead as a result of enemy action while defending his base from Japanese air raids. He was posthumously awarded the Purple Heart having been killed in action as a direct result of wounds received in action with the enemy of the United States. His other awards received posthumously included the Asiatic-Pacific Campaign Medal; American Defense Service Medal; and the World War II Victory Medal. 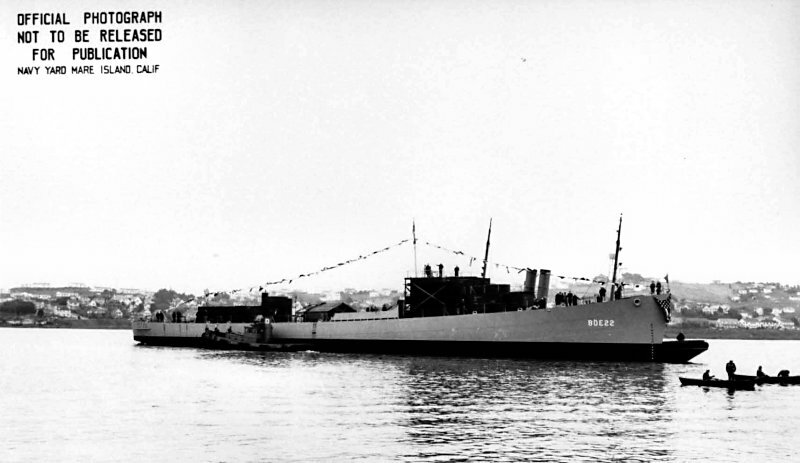 USS Wileman (DE 22) (1943-1945) was the first ship to be named in his honor. 120k 19 December 1942: Vallejo, Cal. 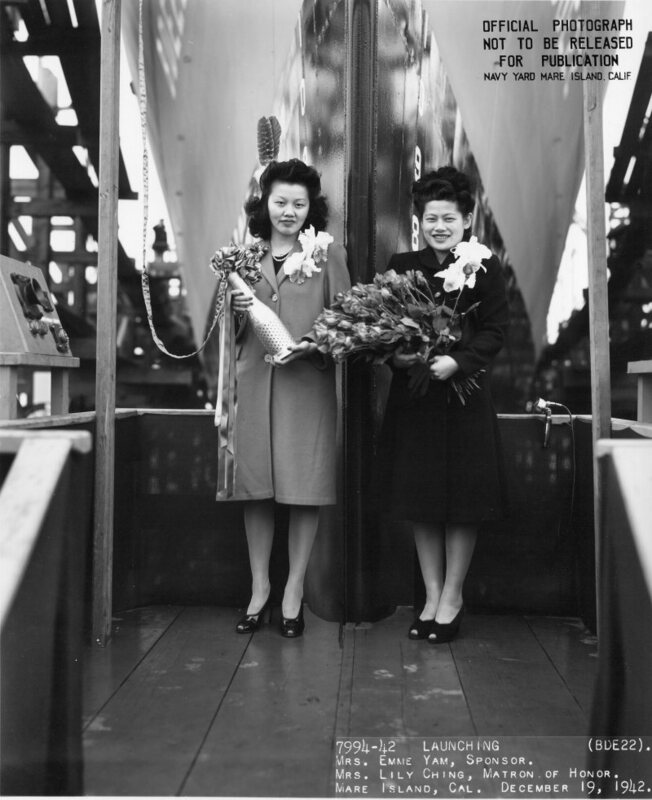 - Mrs. Emme Yam, Sponsor, and Mrs. Lilly Ching, Matron of Honor, are shown with the champagne to be used to christen Wileman (DE 22) at Mare Island. Mrs. Yam was a helper electrician and was elected by her fellow Mare Island Chinese workers to sponsor the ship. Mrs. Lilly Ching a helper machinist was the runner-up in the contest. Dr. Chin Tsing Feng, Consul General of China at San Francisco, was guest speaker at the launching. 97k 19 December 1942: Vallejo, Cal. 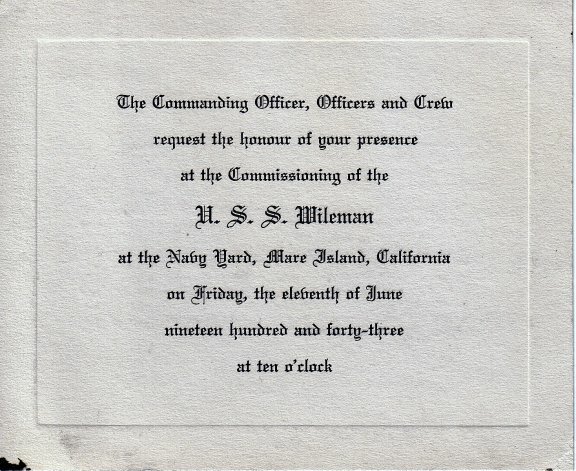 - Christening of Wileman (DE 22 / BDE 22) at Mare Island Navy Yard. 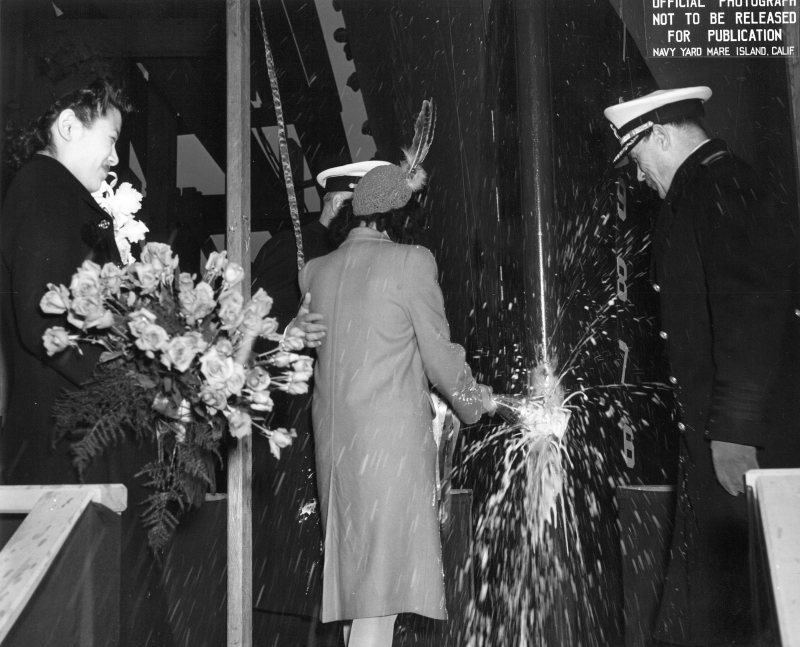 Mrs. Lilly Ching, Matron of Honor, left, Captain Frederick Crisp, left behind the sponsor and Capt A. D. Denney, Captain of the Yard, right, look on as Mrs. Emme Yam, center, mashes bottle of champagne against bow of the future USS Wileman. 100k 12/19/1942: Vallejo, Cal. - Wileman is half way down the building ways during her launching at Mare Island Navy Yard. 54k 19 December 1942: Vallejo, Cal. - Broadside view of the HMS Foley (BDE-22) after her launching at Mare Island. 114k 15 Auugust 1945: Surrender of Japan, 1945. 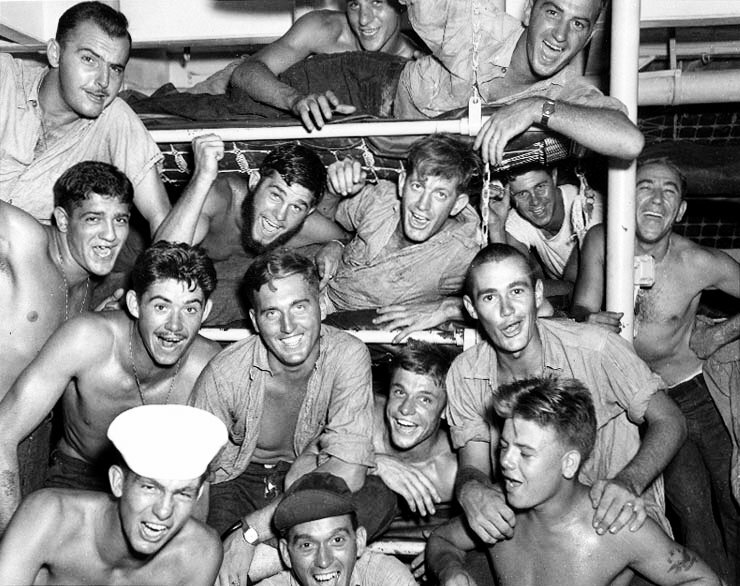 Crew members on USS Wileman (DE 22) celebrate upon hearing of Japan's acceptance of surrender terms. The photographer was from Naval Air Station, Ebeye Island, Kwajalein. 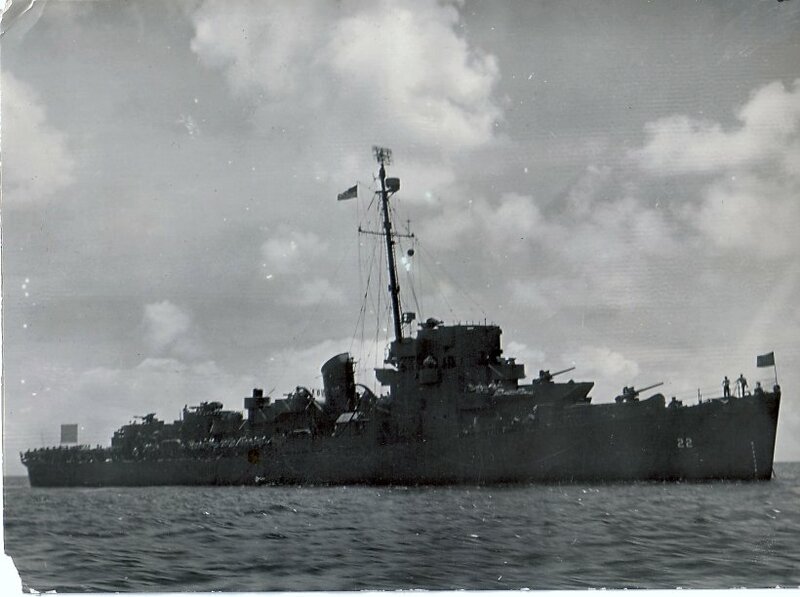 View the USS Wileman (DE 22) DANFS history entry located on the Naval History and Heritage Command web site.